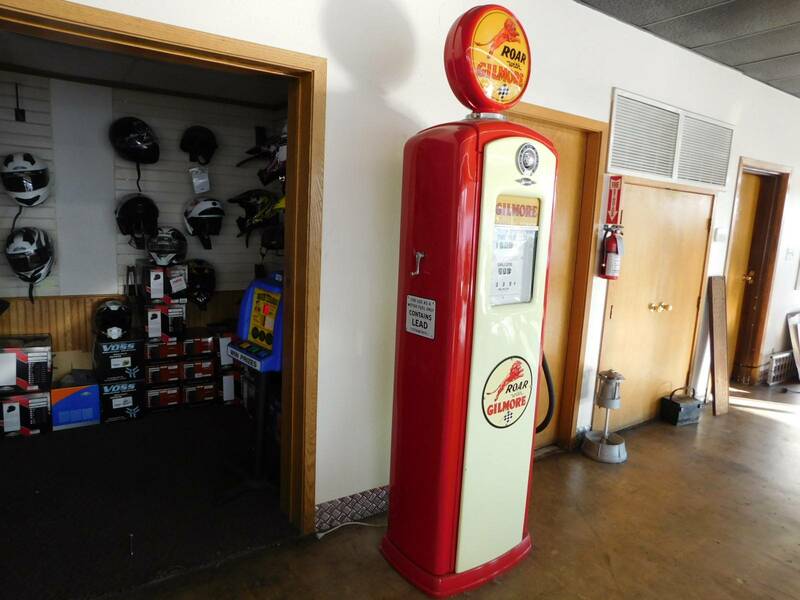 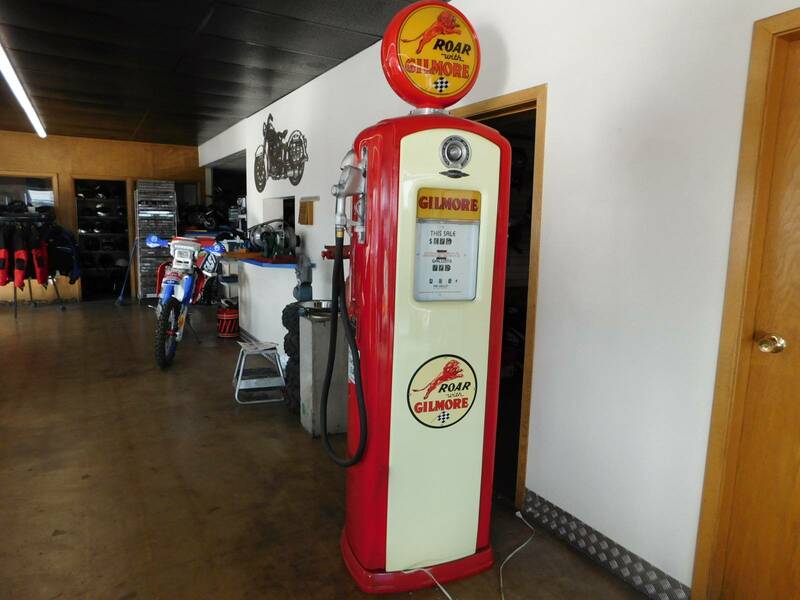 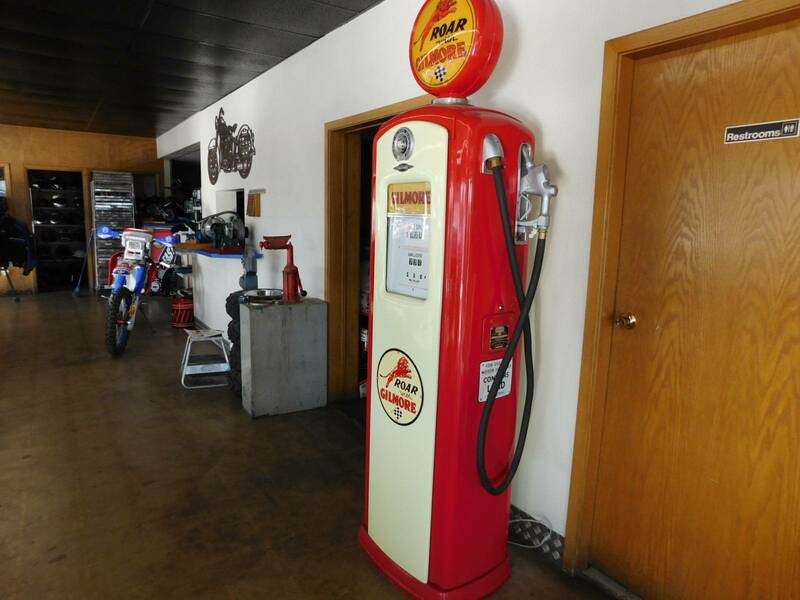 We have a Bennett gas pump for sale. 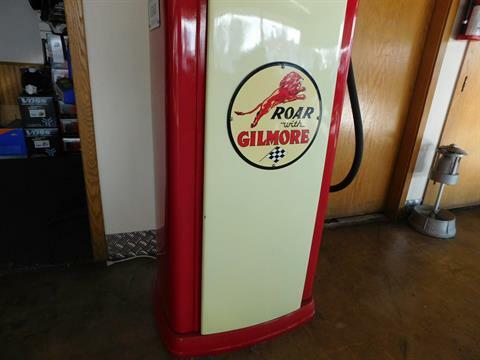 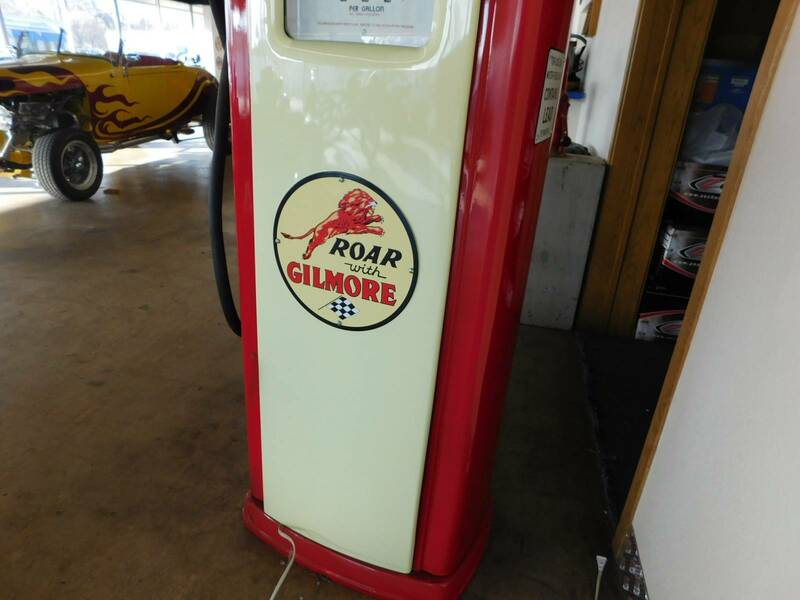 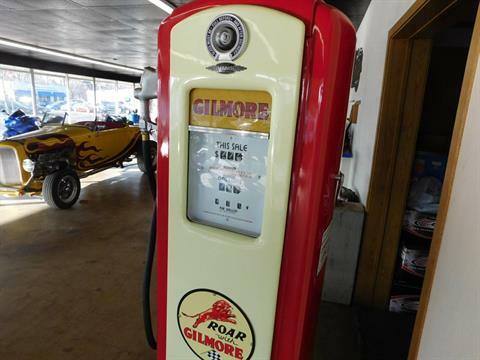 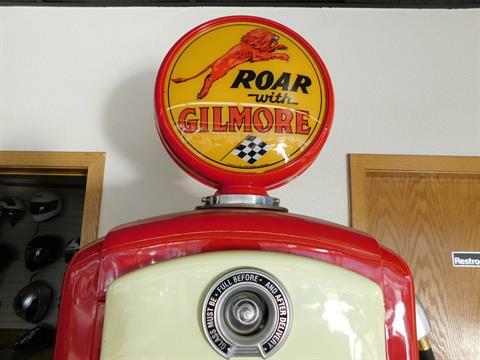 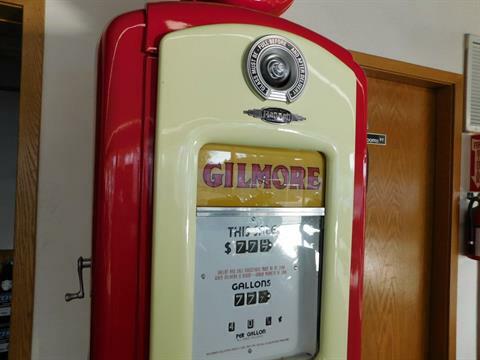 it has been rejuvenated with fresh paint and a new Roar With Gilmore globe. 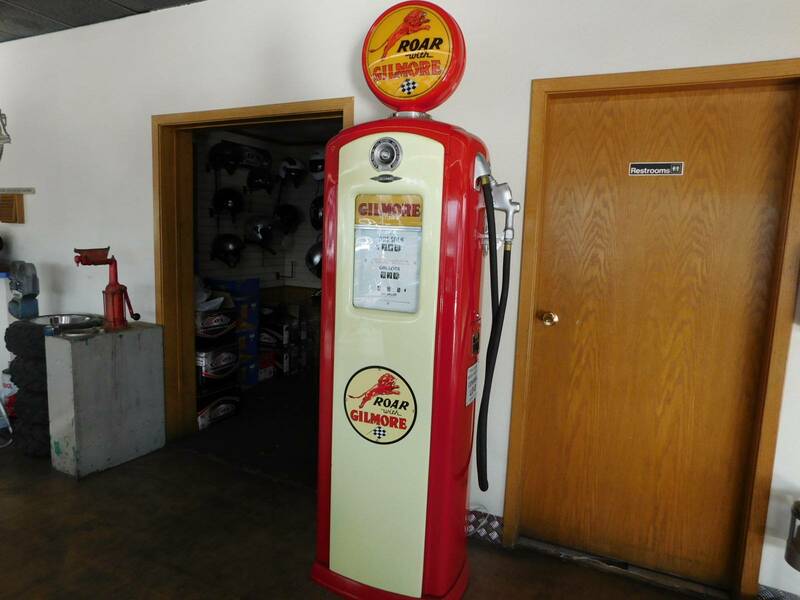 76' tall, The pump has been removed but still has the volume/money meter intact. 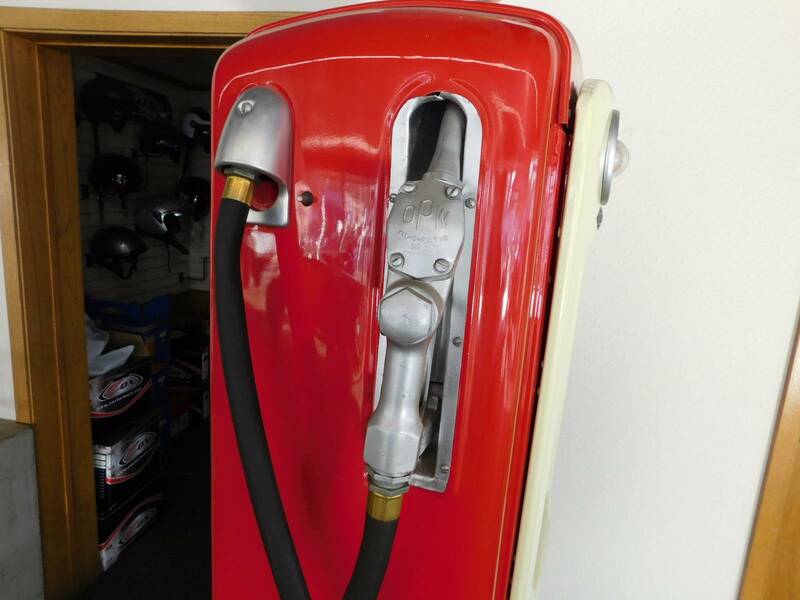 The cabinet is straight, door latches are in good working order, The lights are fully functional, The hose is fairly new and perfect, The nozzle is straight and good. 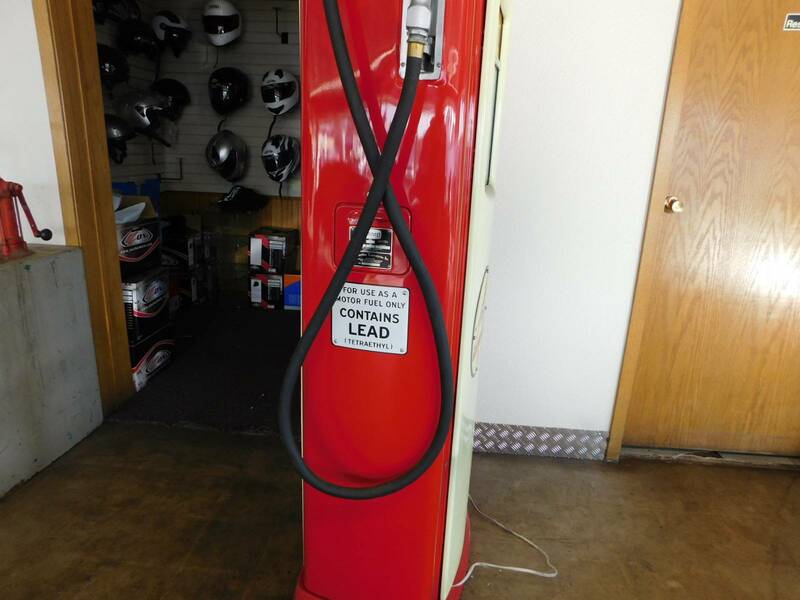 I do not know what the model # is on this pump.